Im excited to introduce another artist involved in the project, Victoria Marie Barquin! She will be creating beautiful prints to go along with all three guidelines! I am very excited to collaborate with her, and see what she creates with the images of jewelry made as well as her own creative touch. "My contribution to the Guidelines project is a suite of three, 18 x 24 inch screenprints that represent and respond to the work being made under each assignment. The prints will be included in the exhibition phase of the project as well as in promotional and marketing materials. All of the prints will be available for purchase. Aside from making prints, collaborating with other artists is one of my greatest passions. There is so much to learn from the way another maker thinks and produces—especially if they work predominantly in another medium. I’ve had the immense pleasure of collaborating with Brie, Franko and Dan before and I’m so excited to work together again." Victoria Marie Barquin (b. 1993) grew up in Cranbury, New Jersey and received her BFA in Printmaking from Massachusetts College of Art and Design in 2016. 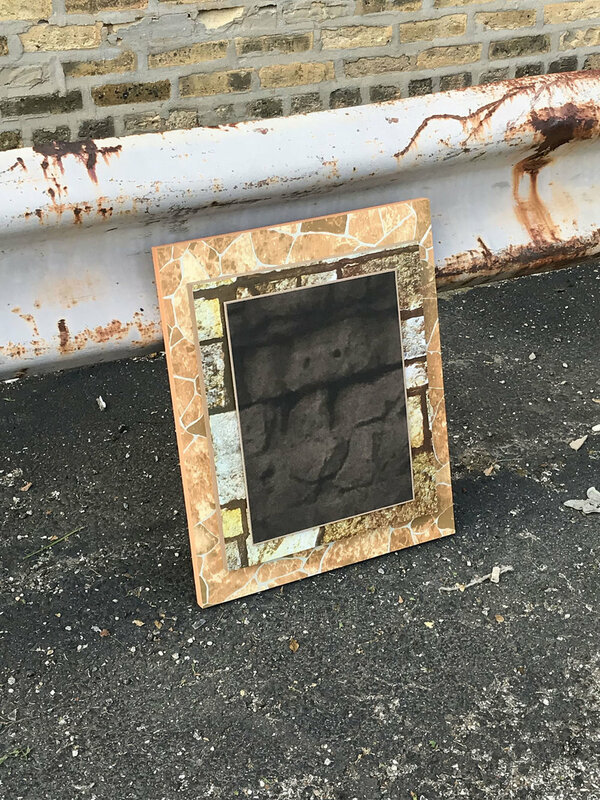 Barquin’s work meditates on the reciprocal relationship between past and present, juxtaposing old and new—analog and digital. She is currently working on a project inspired by the visual impact of walls, tiles, tags and graffiti, which highlights the intersection of text, image and architecture. Her work has been shown at Chicago Printmakers Collaborative and Spudnik Press in Chicago, where she is currently based, in addition to A R E A Gallery and Lens Gallery in Boston. "I have found that life after academia is very unstructured and so when I read “When given the same guidelines” I thought YES. It brought me right back to SoLewitt’s large scale work which inspired me at MASS MoCA. I feel as though this Guidelines project not only gives us the structure we all used to thrive under but also brings us together as a creative community. Starting my wearable jewelry line and selling at shows has taken up a lot of time physically and mentally. I need to remember what I love about jewelry so much so I can continue to be inspired to make meaningful work and I believe this project will be a perfect start." 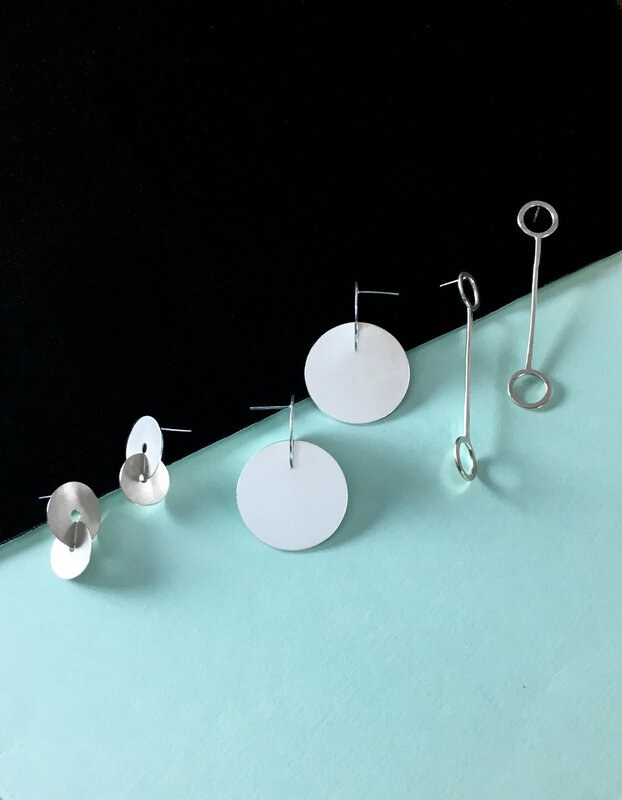 "A jeweler + metalsmith + knitter + overall maker, and 2016 graduate of Massachusetts College of Art and Design in Boston where I studied and received my BFA in Jewelry + Metalsmithing. I work part time at Fuller Craft Museum in Brockton, MA where I teach jewelry workshops. My work is informed by a combination of organic and geometric forms and textures. I am drawn to opposites and oppositions, especially the push and pull between forces. I examine their coexistence and how that might transform one another. Angles-curves, dark- light, open-closed, artificial-natural. Symmetry has also been a strong aspect in my work. I recently became interested in making objects that have movement or are intended to be touched, held, or manipulated." When I read Adriana's response to the question I asked each artist, about why they are doing the project, I said "Yes!" and did a little fist-pump. This is because the second post of this blog I wrote about how a friend of mine showed me Sol LeWitt, whose instructions when I shared my ideas on this project. I've definitely gotten inspiration from his work as this project has developed, so I'm happy the Guidelines made Adriana think of Sol LeWitt's work as well. Adriana currently works in the Admissions/ Museum Shop, as well as an Instructor at the Fuller Craft Museum. Shea Mizuno creates work out of precious metal and gemstones in a way that is unconventional, experimental and organic. She currently lives outside of Boston, MA, and is a recent alumni of Massachusetts College of Art and Design with two degrees in Jewelry/Metalsmithing and History of Art. 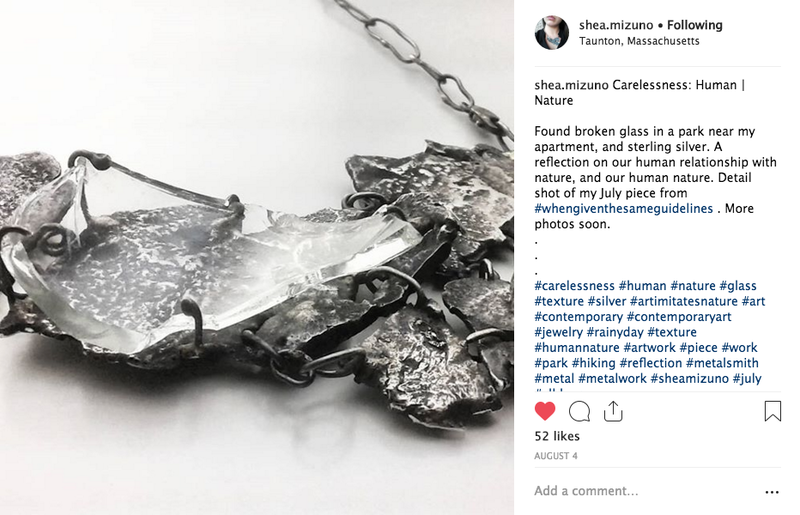 Shea began making jewelry after taking a Beginning Metalsmithing class as an elective her first semester at MassArt, which she attended with the intention of majoring in photography. During this class, she instantly fell in love with the medium of metal. In her journey, she found that allowing the material to react to influence, such as flame, allowed her to give up some control in what is traditionally a highly controlled craft. This let her dispel both negative and positive energy through her work, which she finds both therapeutic and cathartic. It lets her connect with, and understand, the natural chaotic tendencies of material and surrounding world, in a way she never thought possible. All of her jewelry is completely handcrafted by herself, which gives her absolute artistic freedom to make all of the decisions regarding her designs, as she often works intuitively. 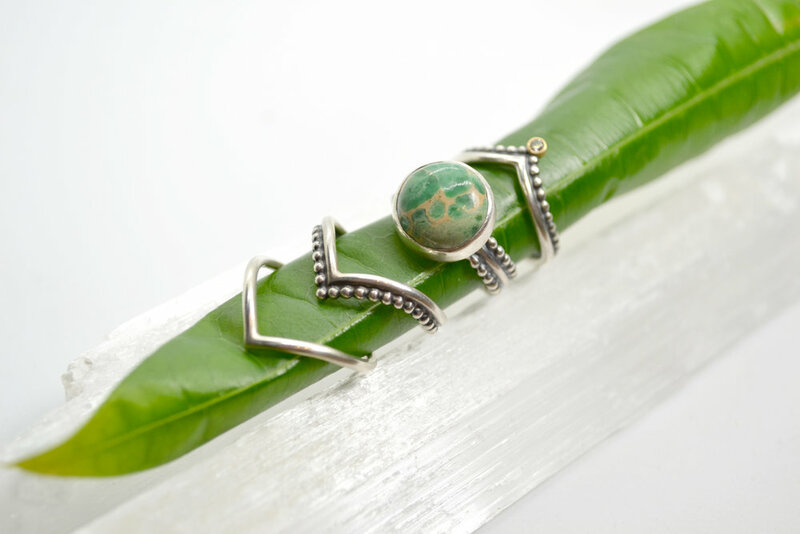 Due to the melting techniques she has developed in her jewelry practice, many of her pieces are one-of-a-kind, and will always remain to be completely unique. "I recycle memory, experience, and material in the making of my jewelry in a way that is cathartic for me as the maker. Taking the idea of historical palimpsest, I begin my process by taking raw materials and transforming them into more usable materials. Through this, the significance gets reset, and a place for new interpretation and meaning can be added. I then make an object that is inspired by memory. These memories can come from either dreams or experiences which I have replayed over in my thoughts, and seem significant enough to have had a major impact on my life. The form of the object depends on the memory. What happens next is brutal, yet cathartic: I destroy it. I use this destruction as a way to release emotions associated with the object. Through this process, I cannot control how the end result will look, as I cannot completely control emotion and experiences I have had. Each work retains traces of information of what it was before. This is done as many times as I see fit, through recreation and destruction. I then take these new objects and make them into jewelry. For me, this is a way to give these objects new life as an object of preciousness, for though the memory associated with them has caused pain or emotional distress, they are still extremely important to me, as part of the memory has been erased to make way for the new. I believe that negative emotion and experiences are part of who a person is, and that negative experience and memory in one’s personal history can be eventually converted and recycled into positive and constructive experiences because of the knowledge gained about oneself and the world." Shea, another awesome MASSART alumni! I was always so impressed by Shea while we were in the Jewelry & Metalsmithing department together, double majoring in History. Her work spoke with rich influences from history and eventually evolved to a process in which she makes little pieces of history through what she explained as recreation and destruction. Shea has been setting up at the SOWA Outdoor Market in the South End in Boston since May 2017. She was also a featured artist as part of RAW Boston 2016, and shared a joint booth with Adrianna DeCastro at the Boston Home Show in the Seaport Convention Center 2017. "I am interested in this project because I like to challenge myself with working within a set of parameters set by another, as opposed to parameters set I normally would set for myself. It will be fascinating to see what I, and others, come up with intuitively within the rules of this project, and whether I embrace, or rebel, against them." Kelly Jean Conroy was born in 1983, in Sheboygan, Wisconsin. Growing up in New England and being raised by an artist mother who emphasized making and painting, eventually led her to attaining her BFA from Syracuse University in art education and painting. 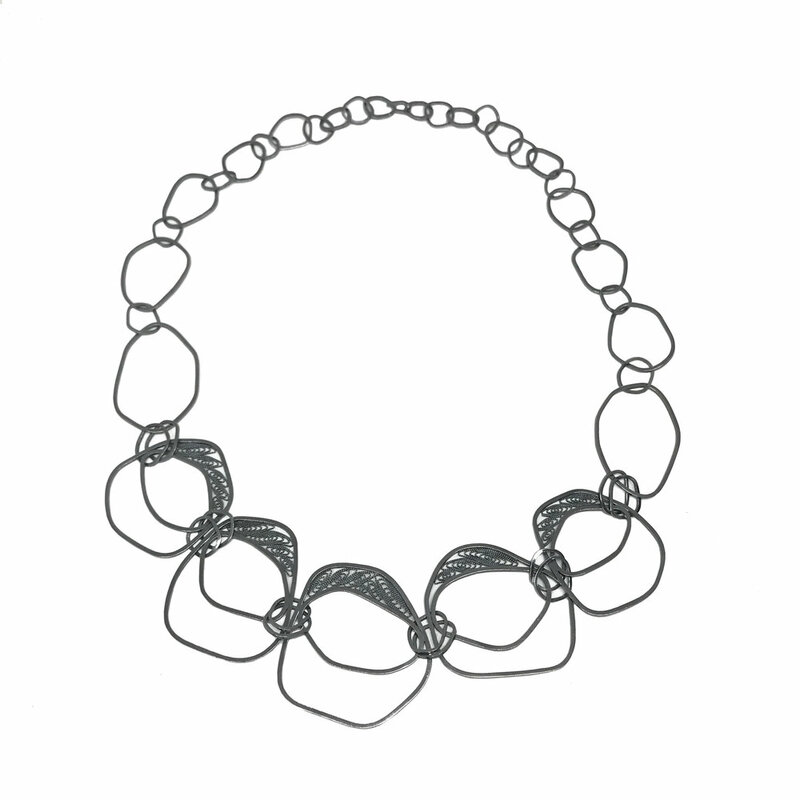 She completed her MFA in Jewelry Metals from the University of Massachusetts Dartmouth in 2013. She is currently teaching metalsmithing at Lincoln Sudbury Regional High School, and metalsmithing courses at Massachusetts College of Art and Metalwerx. 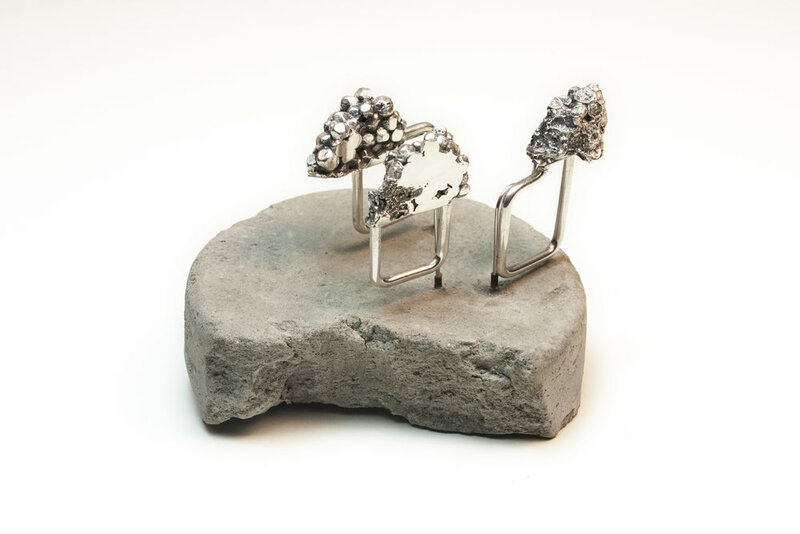 Her work focuses on life cycles in nature within a jewelry format. Her specialties are enameling, working with natural materials: carving bone, piercing mother of pearl, laser cutting, and casting. I first met Kelly and saw her work at the 2013 Annual SNAG Conference “Meta Mosaic” in Toronto, Canada. I fell in love with her jewelry immediately. It is so alluring and haunting the way she uses materials such as bone, birds, and other small animals. To find beauty in death and loss is a common tread for many artists. Kelly takes this to another level by creating jewelry truly made from nature. 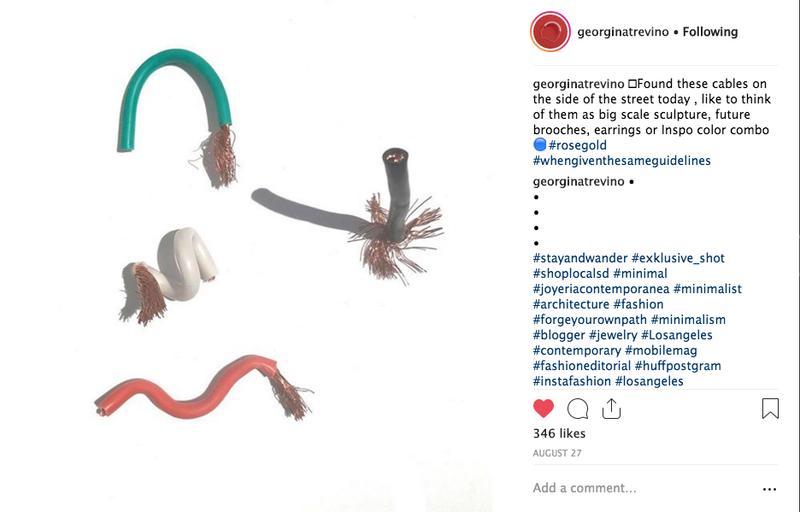 Even if it is too fragile to be worn, the idea of adornment is there, forcing the viewer to think about loss and life, but also perhaps to consider what can be used to make "jewelry" precious, beautiful, and unique. Kelly is someone I admire, she balances creating art jewelry and wearable work on top of being an educator, teaching night classes at MASSART and high school jewelry classes. I studied both Art Ed and Jewelry & Metalsmithing, so I love meeting and seeing others who balance the two. "I see my jewelry as layered paintings- collages with dimensional elements that allude to a story. The stories are about loss, something that touches us all eventually, but also about the beauty of life. If I can make death and the subsequent feeling of loss something beautiful, I can soothe my fear of future loss. 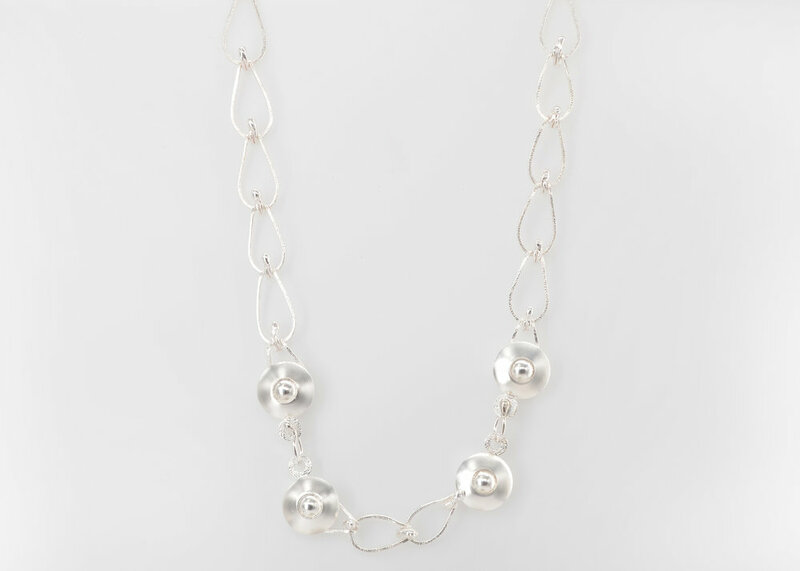 We all carry these experiences of life and loss within the inner layers of our being, and I see my necklaces as a way to wear these moments on one’s outer layer." "When Given the same Guidelines interested me as a form of connection to others in my field. Connection lives in many ways... as jewelers, our work is meant to be worn and connect to the viewer/wearer, and in some way we're looking to connect to the folks who think and feel about the same things as we do. The concept of working 'alongside' other jewelers near and far pulled me in, and I'm excited to be apart of such a creative concept!" 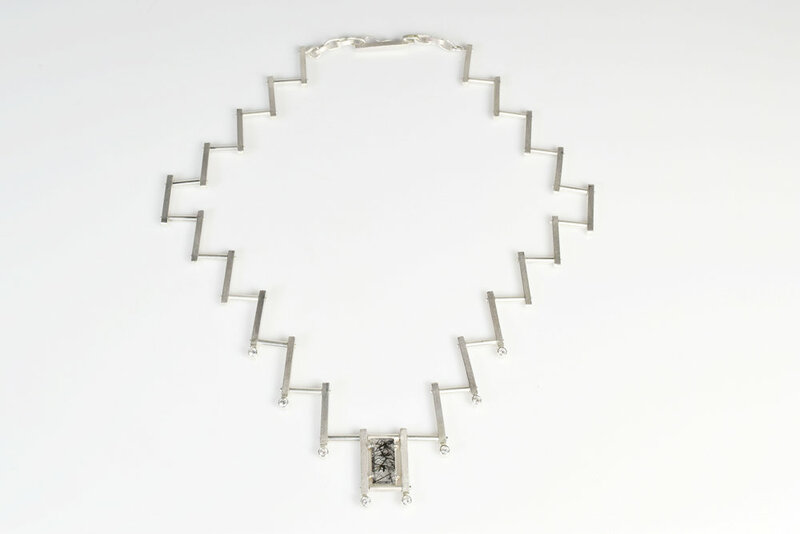 "Chloe Leigh is a Fine Jeweler who currently resides in Rockport, MA. She graduated from Massachusetts College of Art and Design with a BFA in Jewelry and Metalsmithing in May 2017 and sought additional training by attending Alchimia Contemporary Jewelry School in Florence, Italy; Davide Penso Glass Jewels classes in Murano, Italy; Marchutz College of Art and Design in Aix-en-Provence, France; and The Glass Furnace in Istanbul, Turkey. After graduating with her BFA, she established Chloe Leigh Design Studio in Gloucester, Massachusetts. She is currently designing her first jewelry collection. Chloe is establishing her own handcrafted jewelry business that focuses around everyday wear with a sophisticated and delicate style. She continues to be inspired by circular forms, a warm palate, and the sense of balance that she experiences in her coastal environment. Chloe’s goal is to create memorable fine jewelry with a fresh and simplistic look to compliment the wearer." I gotta say when I saw Chloe's post on facebook about her new studio and storefront I was definitely feeling a bit jealous (cause I'm human and working on building up a studio myself), but more so, I was so impressed! As she put it, "These past three months I have been working hard behind the scene out of the public eye… I have been working to create a healthy working environment and building communities in the north-shore." And she did this all while working a part-time job and just graduating. Though she made it look easy, starting up your own studio is the opposite of that. She worked hard, and by doing so she was able to finance the start of her studio through scholarships, awards, and organizations that supported her and her work. Chloe describes herself as an Entrepreneur, and she is just that. Happy to have another hard-working, talented, emerging jeweler aboard this project! "The project, “When Given the same Guidelines,” inspires me to make, become a part of a conversation, and explore the interpretations of other artists. I look forward to sharing my own perspective and hearing the voices of others." Kelsey Larsen McQuown is an artist currently relocating to the Leelanau Peninsula in Northern Michigan. Kelsey's work centers around the reimagining of traditional metalworking techniques and is inspired by her exploration of this ever-changing world we all call home. 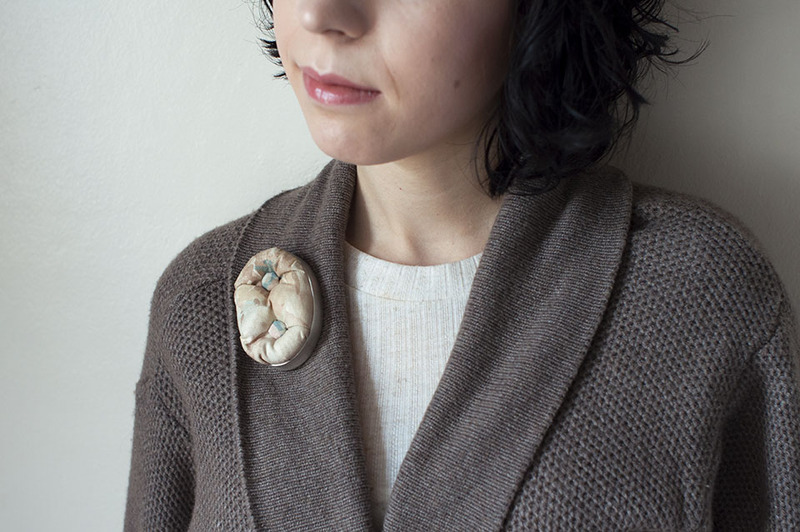 Like Shira Brooks, I first met Kelsey down in Atlanta at the American Craft Council Show. I was lucky to have her as one of my neighbors in the emerging artist Hip Pop booth. Kelsey's work is unique in the way she uses a historical technique in a more modern way. Filigree is a type of jewelry/metalworking process made with tiny beads or twisted wire or both. Kelsey hand twists and solders delicate gold and fine silver wire together and then frames the filigree inside of bold modern shapes. Her work is classic and contemporary all at the same time, and I know she's going to create some magic for each of the Guidelines! "I’ve recently moved from a shared space to working completely on my own. In many ways it is an exciting change, but I do miss the moments of collective inspiration that can happen when working alongside other artists. I am participating in this project as way to insert more playfulness and creative thinking into my everyday process. I am very excited to see how the project develops." Hello, and welcome to the blog of my new passion project! "When Given the Same Guidelines..."
Bringing contemporary jewelers from across the country that are no longer immersed in an Academia setting to engage in various assignments with other emerging or full time jewelers to ultimately break out of our immediate communities and engage in a broader conversation. Now let me begin with, this is still an idea at this point... BUT I'm feeling pretty determined to make it happen. I've gotten 10 jewelers who expressed interest without fully knowing what the project is really all about. So earlier this evening I sent them all out a lengthy email explaining why I want to make this a reality, what the project IS, and begged them to be a part of it. That last part isn't 100% true, but I am hoping at least a few of them will want to participate. If you read this and think, hey I want to be a part of this too, then please send me an email, or DM me on instagram! I want to try and keep participation to 10 Jewelers for this first run of the project, but I could be open to more. Im sure you're probably dying to know, what IS the project all about? Participating jewelers will follow 3 sets of Guidelines to create 3 different pieces of Jewelry. The final product must be “Jewelry”, but does not have to be wearable. All jewelry must be handmade. 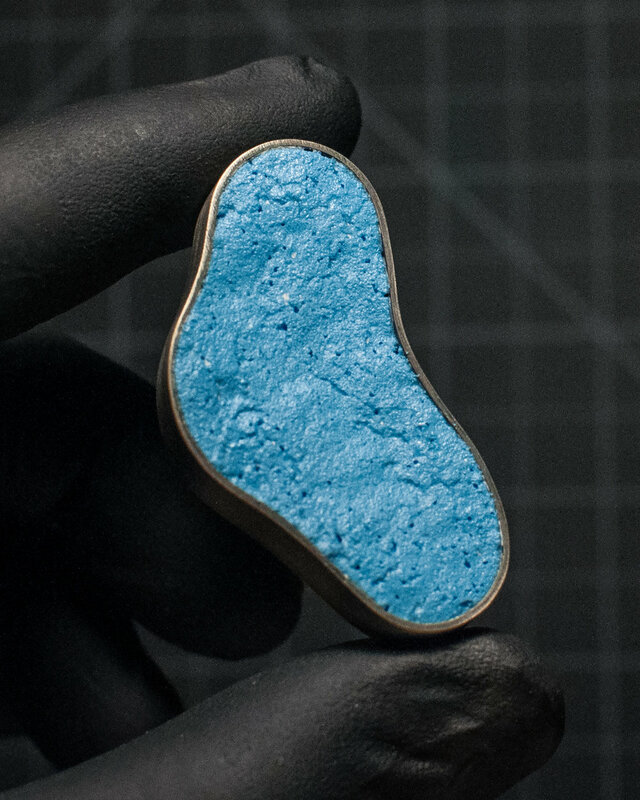 The project will run over the course of three months beginning in June, giving artists one month to complete each piece of jewelry. At the end of each month, I'm asking each artist to send me images of their final product. I will be posting those here for you all to see, along with process shots, drawings, artist highlights and more. I will also be proposing our final works as an exhibition to a gallery to have a final show So check back soon for more updates! I'm excited to get this project moving, and jewelers making.